2. 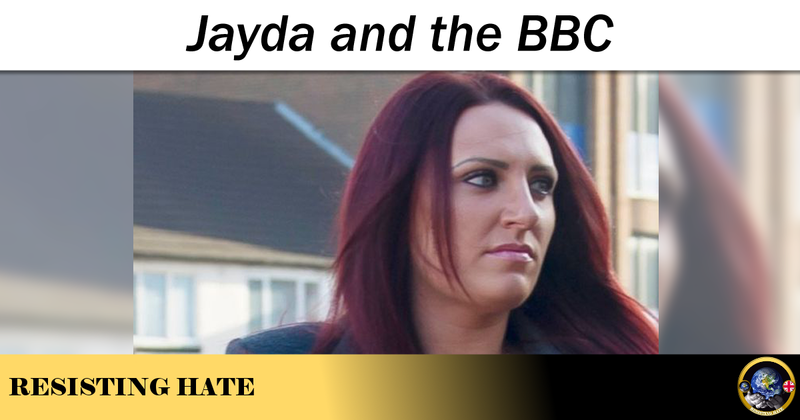 Jayda says that “hard working Poles and British taxpayers are paying for Islamic Extremists”. You do realise that amongst the “hard working tax payers” will be a very large number of Muslims don’t you? 3. Never heard of any other community who won’t integrate like Muslims? a. Parallel legal system aka Sharia – how about Beth Din for Jews? c. “Polish people are a good people, a Christian people” – how about the non Christian ones? What about ones who become criminal, like you find in any community. 4. Don’t you dare use ISIS based terrorism to make out that Muslims are bad and Polish people are superior. You’re clearly deluded. 5. You’re not a political party. My cat could have gained 0.03% of the votes during the election that you stood in. 6. Keep your eyes on the road you idiot. 7. If you’re going to put Britain first then I’d just hand yourself in to the police and let them bang you up. 8. There is a difference between Nationalism and Patriotism. You are no patriot. You’re a halfwitted Nationalist. You know who else was? Hitler was one. As was Mussolini. 9. You don’t give out membership details as you don’t have a clue as you don’t want to admit it is well below the 1.8m “followers” on Facebook….many are bought. 10. We do know what racism is. 11. 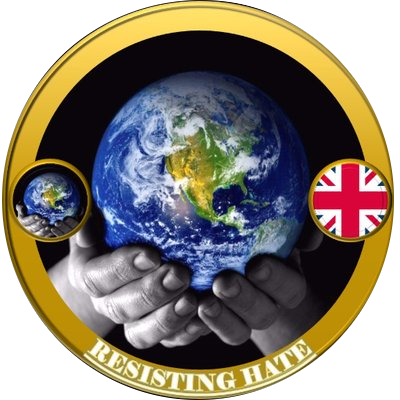 If “your grandfather fought the Nazis” then he must be spinning in his grave that you’ve aligned yourself with Oswald Mosley……who funnily enough loved Hitler and the Third Reich. 12. Grooming gangs are not just Muslim. In fact Rotherham has impriosned a non-Muslim for child sexual abuse. You didn’t mention that. 13. You want an “end to Halal slaughter”. I notice you didn’t mention Kosher slaughter. 14. You mentioned “Sharia Courts” but failed to mention Beth Din and Ecclesiastical courts. 18. Yet again you take passages in Islamic scripture out of context. We can do that with many things including your beloved Bible. 19. 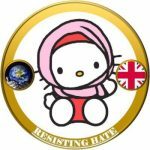 Grooming gangs – again, not just a Muslim issue. 20. Everything you do is reasonable? Really? I’m yet to find the “reasonable” part of it. And CNN & the BBC are vile leftist bigots? Good grief woman you’re sounding more deluded than Golding! If you don’t like being interviewed by “lefties like the BBC”, just refuse to be interviewed.